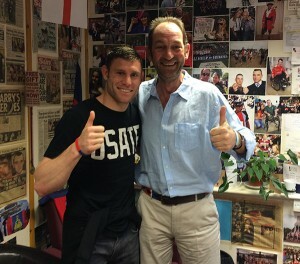 The James Milner Foundation has supported the Help For Heroes charity since the Foundation’s inception in April 2012. Prior to ‘The Night Before Christmas’ Charity Ball last week James has became an official ambassador for Help For Heroes. “I am pleased to become an ambassador for Help For Heroes. It is such a great charity doing amazing work to help support our servicemen and servicewomen. The James Milner Foundation has supported different initiatives with the Help For Heroes sports recovery programme but I am pleased to personally become an ambassador. I look forward to contributing to all the good work that Help For Heroes carries out”, commented James on his announcement as ambassador. d over 4,000 Veterans and military personnel – and their families – through their network of Recovery Centres. The war in Afghanistan may be over, but for those who have suffered life-changing injuries, their battles are just beginning. They’ve estimated that, of the 220,560 individuals deployed to Afghanistan and Iraq between 2001 and 2014, up to 75,000 servicemen and women (and their families) may need our support in the future. Help For Heroes will not let them fight these battles alone. 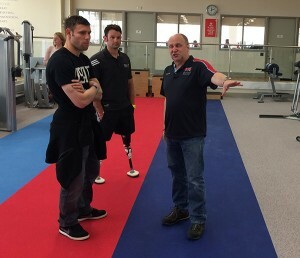 The James Milner Foundation’s support has enabled the Help for Heroes Sports Recovery Programme to change lives in 2015. Its donation has supported high-performance athletes through the Help for Heroes Sports Academy and also enabled Heroes to discover a new career by working towards Personal Trainer Diploma. “Sport is a huge part of my life now. After getting injured, it provides me with a purpose and JMF’s donation is so important to allow Help for Heroes to continue to provide that support.” Steve Arnold, H4H Beneficiary and athlete on the British Cycling Development Programme.